This exhibition is the first ever officially approved showing of clay figurines in the UK, made by a previously little understood people in Koma Land in Ghana, West Africa. 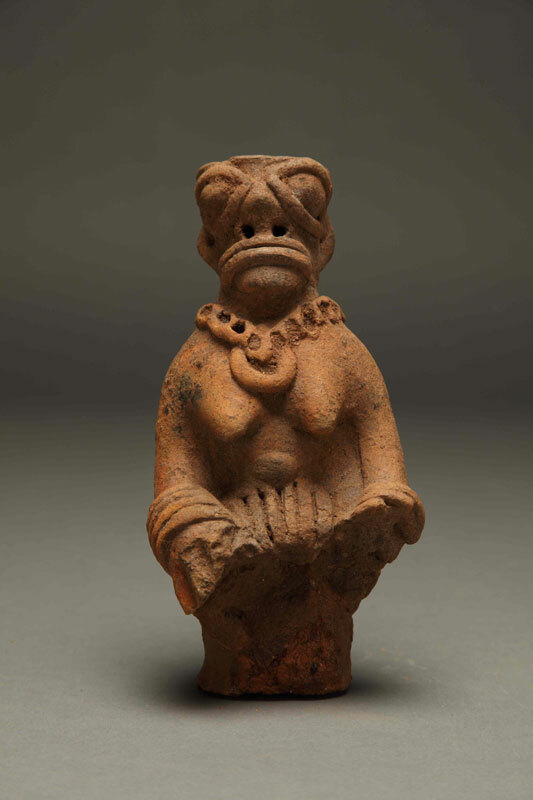 The figurines, often fragmentary and depicting stylised two-headed creatures, bird figures, and animals, are thought to represent the ancestors. It is possible that some of the figurines had liquid offerings poured into channels in the figurines, and that some might have been linked with healing and medicine. They were discovered during archaeological fieldwork directed by Prof. Ben Kankpeyeng and involving colleagues such as Prof. Tim Insoll (University of Manchester) working with the Ghana Museums and Monuments Board (GMMB). Prof Benjamin Kankpeyeng leads an exclusive tour of our new exhibition exploring the background to the fieldwork that led to the figurines discovery, and investigates the meaning and purpose of these enigmatic figurines. An insight into the fieldwork that has taken place in Koma Land since 2006. Prof Benjamin Kankpeyeng and Prof Timothy Insoll explore the practical difficulties and challenges of working in such a remote region. In West Africa healing combines both medicine and religion with specialist markets selling herbs and idols side by side. Drawing on extensive fieldwork in Ghana, PhD Archaeology student, Bryn Trevelyan James will open a conversation on the stories behind some fascinating objects. Discover, explore and get hands-on with a fun family day out at the Museum. Find out more about the people of ancient times through objects; how they used and made them. Meet museum curators, and explore our ‘Fragmentary Ancestors: Figurines from Koma Land’ exhibition. Join our Curator of Egypt and the Sudan, Dr Campbell Price in exploring the evidence of ancestor worship by ordinary Egyptians. This talk will investigate how images can be used to explain the fascinating, yet often overlooked, process and practice of ancestor worship.